Egil began working at Fasett in 2007, spending a year at the agency as a Copywriter before settling in his role as Creative Director. 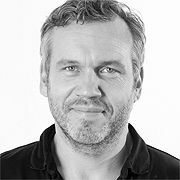 Having spent the previous 10 years in the advertising business, Egil has expertise in copywriting, art direction, creative strategy and innovative thinking. This expertise has brought him several national and regional gold, silver and bronze awards for creative communication, including the New York Festivals in the USA, red dot in Germany, Epica and Cannes Lions. Egil served as Chairman of the Jury at the Grand Prix at the Gullblyanten Marketing Awards, and was a member of the Gullblyanten and Kreativitet & Kommunikation juries in Norway and Denmark respectively, as well as the board of Kreativt Forum for several periods. After completing the CCLP program in 2011, Egil felt the Berlin School contributed a lot to him professionally, but also personally: “In many ways CCLP gave me back the belief in creativity and leadership.” He decided to finish what he started and come back to the school because of his desire to take both himself and the agency a step further, acquiring enough knowledge and spirit to meet the challenging future in a well-equipped manner. Before joining Fasett, Egil was a Creative/Copywriter for New Deal/DDB, SLB Advertising, Bold/TBWA and Ogilvy&Mather. He studied Culture and Communication at the University of Oslo, University of Bergen and the Westerdals School of Communication in Norway.